Bring about deeper, self-directed learning in elementary school students. 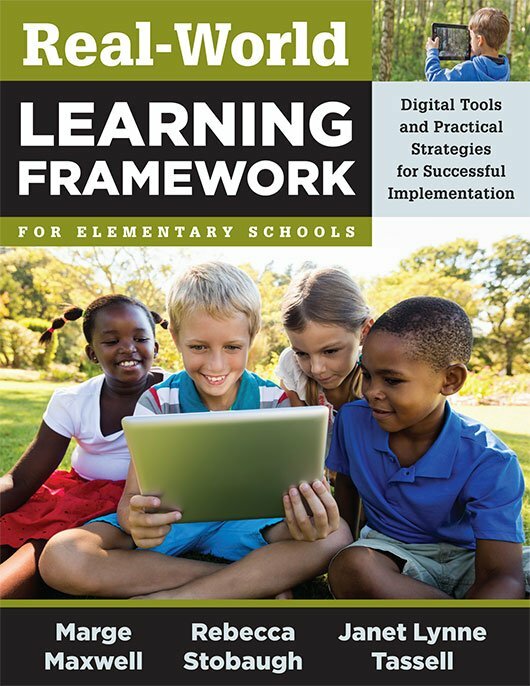 This book outlines opportunities teachers and students have to exercise cognitive complexity, engagement, and technology integration through real-world project-based instruction. Part one details the Create Excellence Framework, and part two offers sample lesson plans from real-world learning projects so educators can help students take more responsibility for and find more enthusiasm in their own learning. Learn each of the components of the research-based Create Excellence Framework for lesson planning and how each component connects to student content standards. Discover the five levels of real-world learning. Answer questions to consider in setting up the Create Excellence Framework for real-world learning. Consult real-world examples of Create Excellence Framework–applicable learning projects. Learn about many online tools and resources to promote online projects that engage students. Discover the Author in You! Make Our School Playground Better! Be the Change You Want to See in Your School! Which Band Member Had the Most Successful Solo Career? Yikes! Five Hundred People Are Coming to Dinner! Plastic Bags, Bottles, and Straws, Oh My!